Last Monday, April 30, MS unleashed Version 1803, aka the “April Update,” to the general public. Though many folks believed it would only trickle out via the Media Creation Tool, it appeared through Windows Update, the Windows 10 Update Assistant, and MCT that same day. Since then, lots of people have been installing, analyzing and digesting the new release. Indeed, it does come with a few gotchas — see Martin Brinkmann’s excellent ghacks story “All the issues of Windows 10 version 1803 you may run into” for the most complete rundown I know of. But not too many of them are serious, nor potential showstoppers. One item could be pretty major, though. 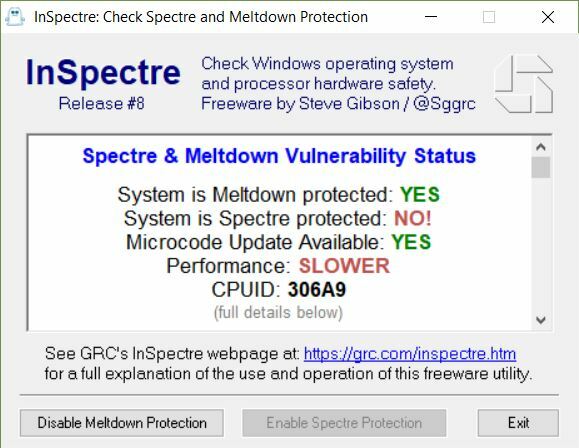 As Brinkmann reports from his own personal experience, 1803 may drop Spectre Patches on some PCs — Ouch! 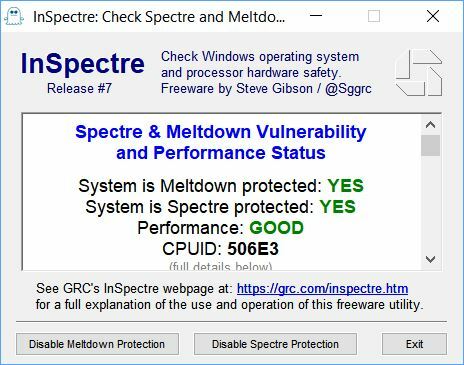 If 1803 May Drop Spectre Patches on Some PCs, Does That Affect You? Turns out that only those systems that got their Spectre v2 protection courtesy of Microsoft security updates can be affected. Here at my house, almost all the PCs got firmware updates from their system or motherboard makers (Lenovo, Dell, and Asrock, as that turned out). Thus, none of those machines upgraded to 1803 lost their Spectre/Meltdown protection as a result. Other makes and models may be affected, though, if Mr. Brinkman’s experience is any indication. The only system here that’s affected is one for which a vendor patch was never provided: my wife’s Jetway-based mini-ITX system. Be sure to check yours after you make the upgrade, to see if you need additional mitigation or remediation. Is Their an 1803 Spectre Patch in the Offing? I’d have to give this a very high likelihood of showing up soon. By the time many of the IT pros who decide to try out 1803 for possible future deployment fire up this latest OS version this issue may be moot. But it’s easy to check, so be sure to grab a copy of InSpectre (it’s free) to make sure your PCs are covered.